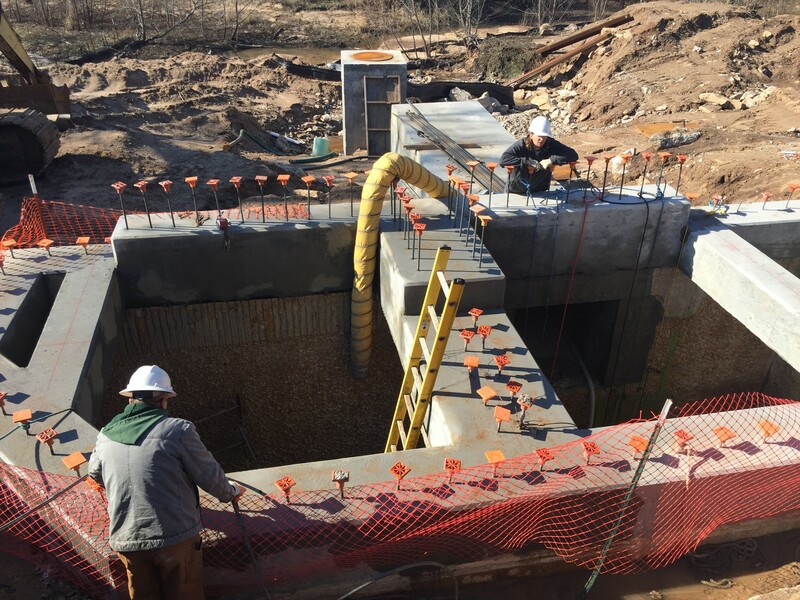 This structure is the main effluent junction box, 40’ long x 15’ wide x 30’ deep, crossing under the Arkansas River into the City of Tulsa’s Southside WWTP. 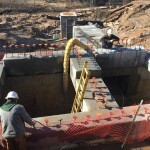 Two large sewer mains enter the box one at the north side and the other on the south side with the main effluent tunnel exiting the box on the west side. Close to the top of the structure is an overflow channel. The structure was built in the early 1980s and a PVC liner was used to provide corrosion protection. Upon annual inspections, flaws in the PVC liner were found and spot repairs were attempted at additional costs to the City of Tulsa to prolong the life of the liner. After roughly twenty years of continually maintaining the liner, a more in-depth inspection was conducted. 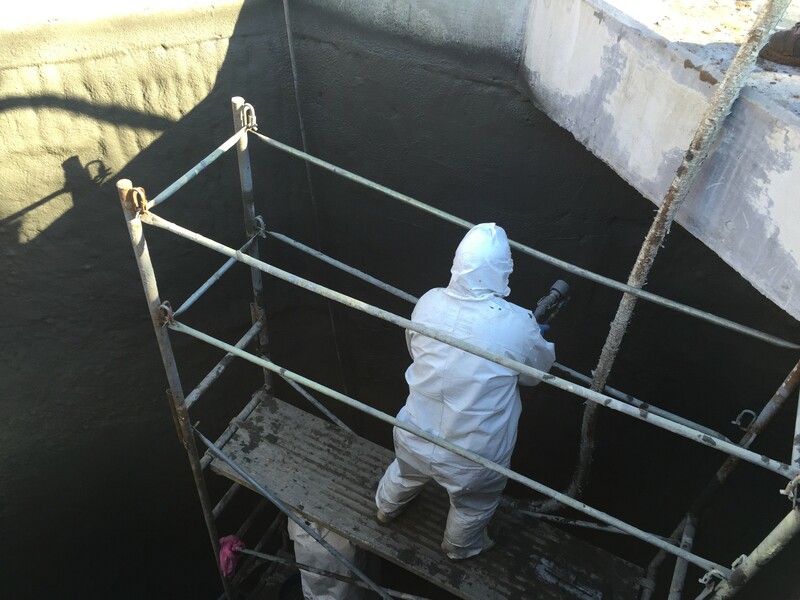 It was found that the liner was no longer providing adequate corrosion protection and the structure was in very poor condition behind the liner due to deterioration from H2S and sulfuric acid. 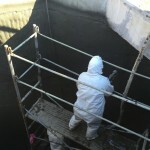 It was clear that the liner needed to be removed and the structure rehabilitated. The structure’s overflow channel had deteriorated to the point of collapse. The top and ceiling had to be completely removed and redesigned. 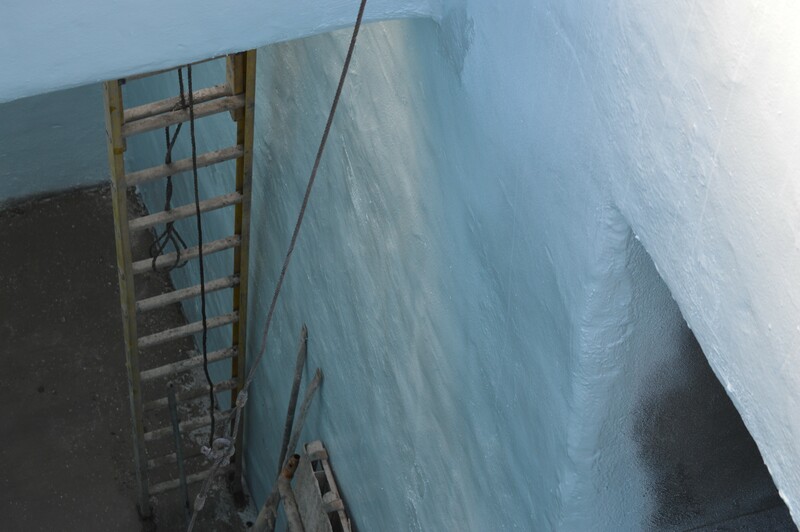 Both structures were replaced by forming up new walls and ceilings then poured in place. The walls had lost over three inches of cement, exposing rebar. Once all the contaminated and/or deteriorated portions of the substrate were removed by high pressure water blasting the exposed rebar was sandblasted and coated to protect it from further corrosion. Spots of highly deteriorated substrate on the walls required large cement repairs and then the entire structure had to be resurfaced with a spray applied cement 2” to 3” thick. After all surfaces had been prepared and cleaned, Raven 155 primer was applied to reduce moister vapor movement in order to lessen the amount of possible holidays. Once the primer had been given time to cure, Raven 405 was spray applied to the thickness of 125mils. 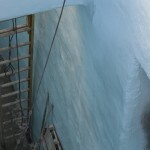 Once the coating application was completed, the structure was holiday tested and adhesion testing was conducted. All holidays were repaired and then the junction box was returned to service.